Dr. Edwin Monuki graduated from the University of California San Diego School of Medicine and completed his residency program at the Massachusetts General Hospital. Then, he did a fellowship at the Brigham and Women's Hospital. Dr. Monuki is specialized in Pathology and board certified in Anatomic Pathology and Neuroradiology. 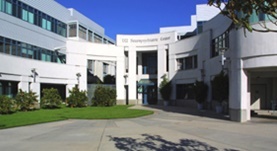 He has been in practice for more than 20 years and is affiliated with the University of California, Irvine Medical Center. During his career, he has also contributed to 5 clinical research publications. Dr. Edwin Monuki has contributed to 3 publications. Principles and mechanisms of regeneration in the mouse model for wound-induced hair follicle neogenesis. Wang, X.,Hsi, T. C.,Guerrero-Juarez, C. F.,Pham, K.,Cho, K.,McCusker, C. D.,Monuki, E. S.,Cho, K. W.,Gay, D. L.,Plikus, M. V.; Regeneration (Oxf). 2015 Oct 28. Agenesis of the Corpus Callosum Due to Defective Glial Wedge Formation in Lhx2 Mutant Mice. Chinn, G. A.,Hirokawa, K. E.,Chuang, T. M.,Urbina, C.,Patel, F.,Fong, J.,Funatsu, N.,Monuki, E. S.; Cereb. Cortex. 2014 May 02. Wang, R. Y.,Monuki, E. S.,Powers, J.,Schwartz, P. H.,Watkins, P. A.,Shi, Y.,Moser, A.,Shrier, D. A.,Waterham, H. R.,Nugent, D. J.,Abdenur, J. E.; J. Inherit. Metab. Dis.. 2014 Mar 13.